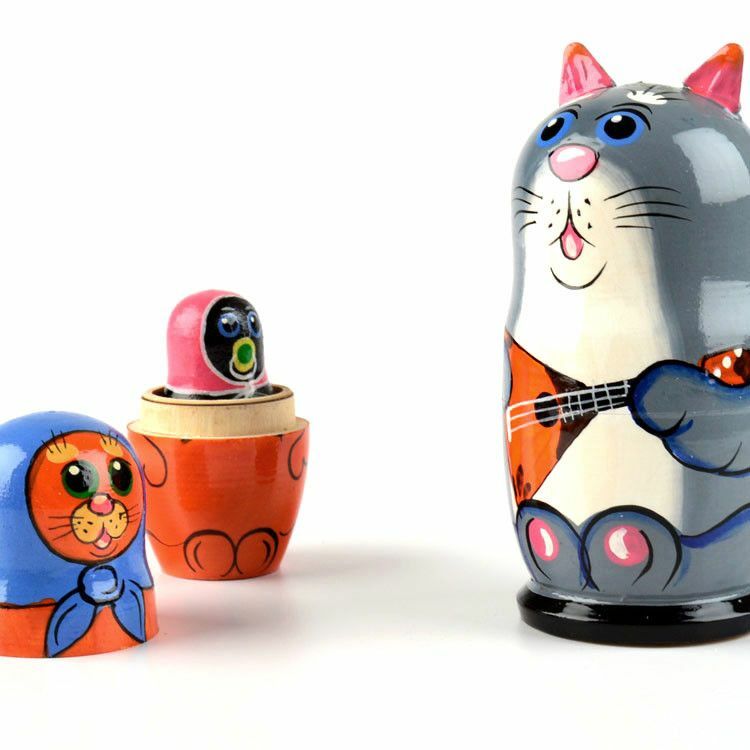 Do you love cats and music? 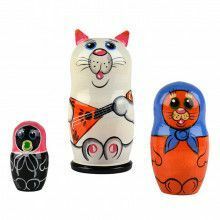 This adorable animal matryoshka, painted as a cat with two kittens, is sure to bring a smile to just about anyone. 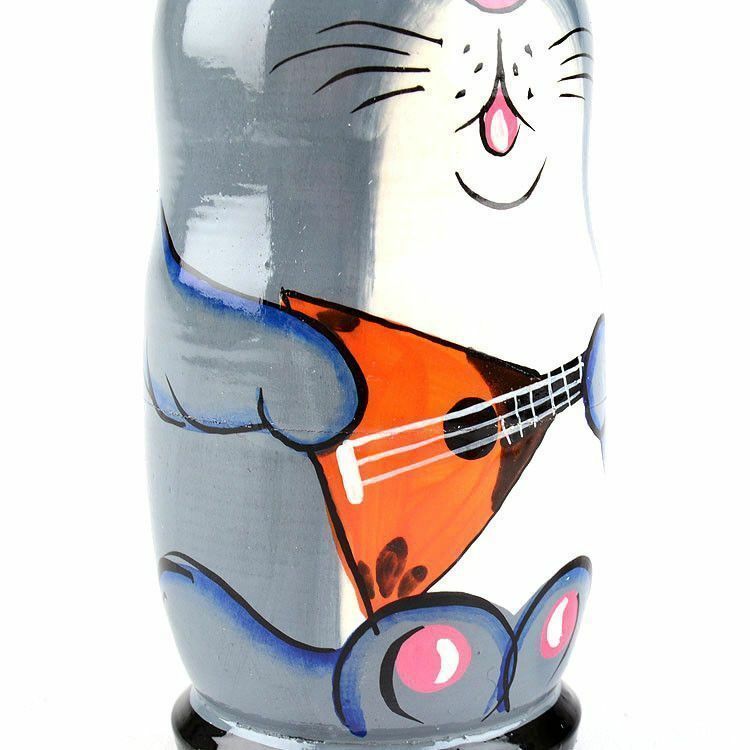 The largest cat (about 4 1/4" tall) is playing a Russian instrument for whomever wants to listen! 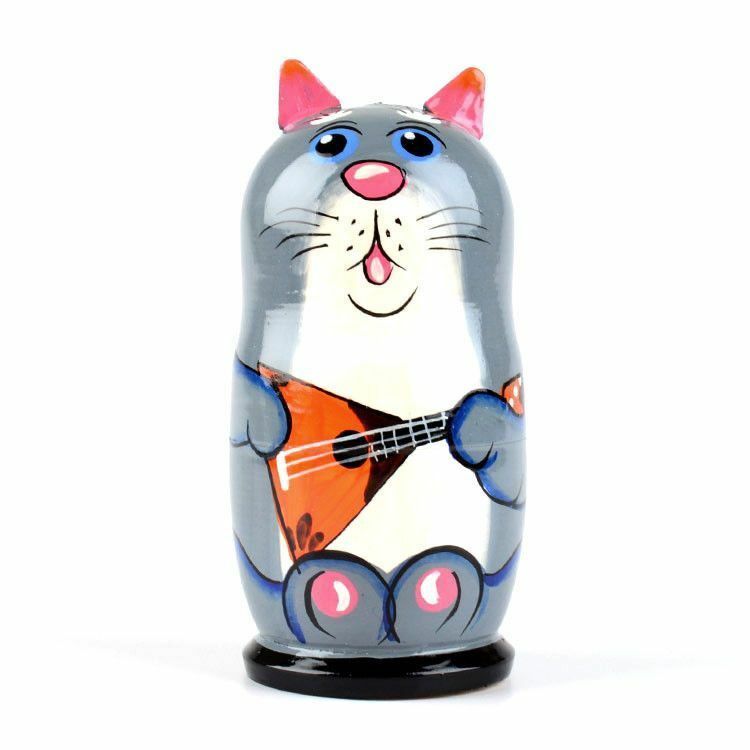 The balalaika is a three-stringed guitar, that apparently cats like to play. 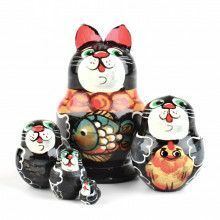 Not really, but this cat nesting doll likes to play for his kittens. 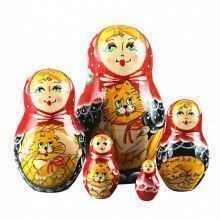 One kitten is orange and wears a blue scarf. 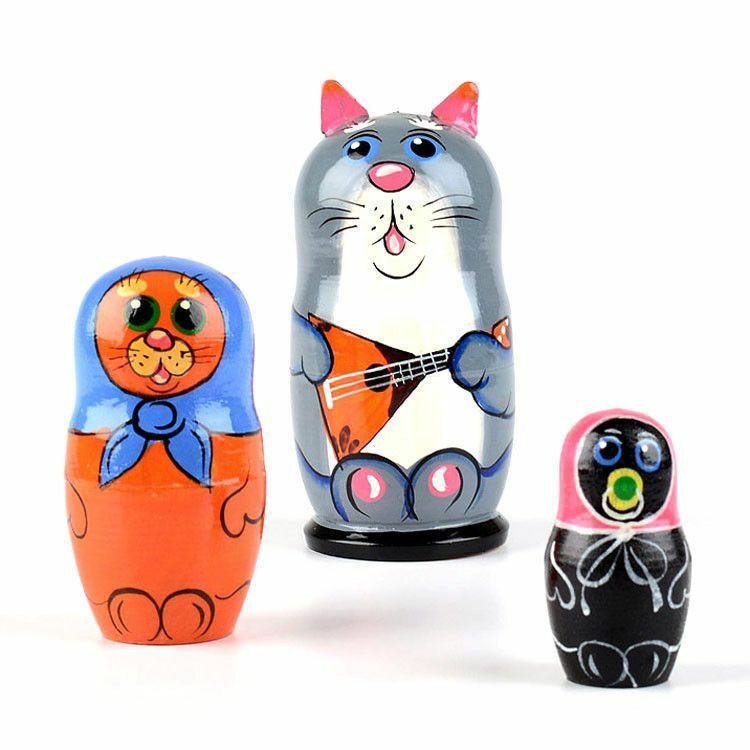 The other kitten is black, wears a pink scarf, and also has a pacifier! 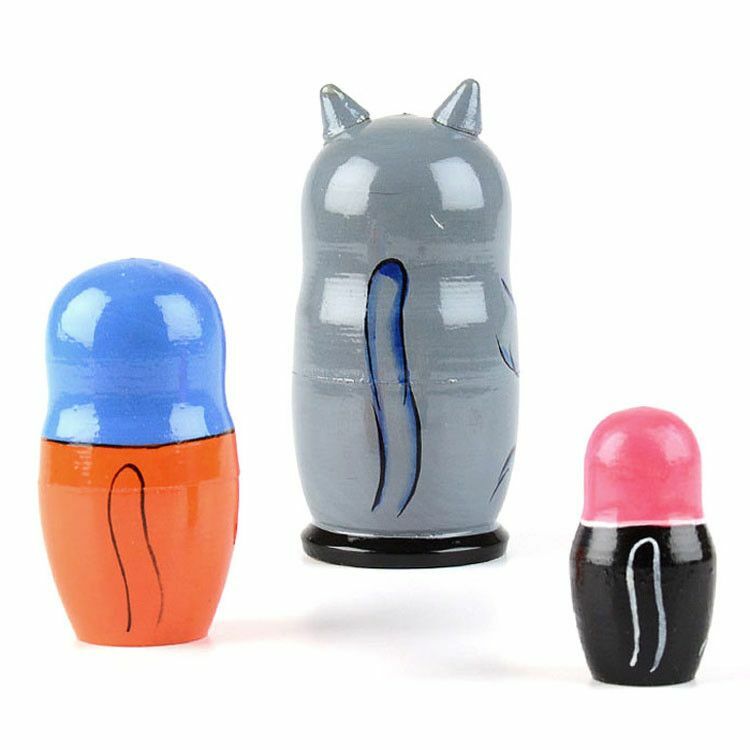 What an adorable gift idea for a mom of two, who happens to love cats.